Above photo 2014 by N Chadwick Creative Commons Licence. The "Longbow" honours the weapon that turned the tide of battle England's way at Crecy in 1346, Poitiers in 1356 and Agincourt in 1415. Longbows were easier to handle and reload, and had a far longer range than the accurate but cumbersome crossbows used by the French. In the Middle Ages, English archers were the finest in Europe because successive Kings of England fostered and encouraged archery as a sport, later making it compulsory — football was banned by Edward III because it interfered with archery practice. 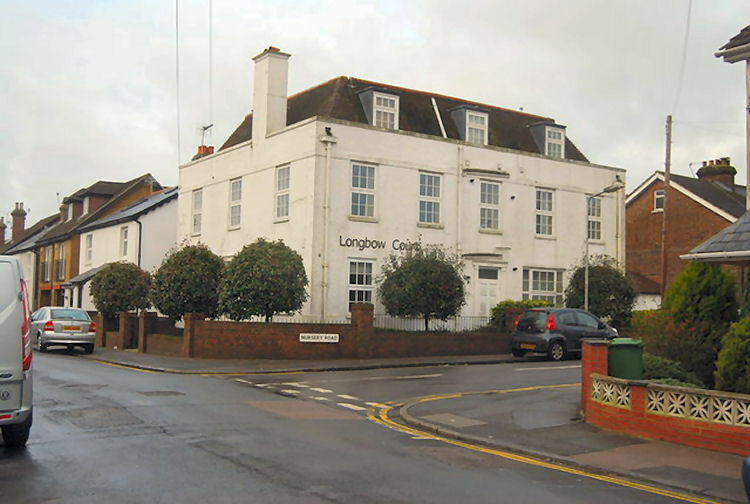 The pub is now closed and is known as Longbow Court.